For over fifty years, Northern Lights, Inc. has been a leading manufacturer of industry-best marine systems, including Northern Lights marine generator sets and Lugger diesel propulsion engines. As the Northern Lights Caribbean distributor, Parts & Power provide Caribbean marine generators and BVI generator service. Visit our dedicated Caribbean Northern Lights website for more information on our dealer network across the region. For over 40 years, Northern Lights generators have been working for people who work on the water. From Bering Sea crabbers to bayou mud boats, push boats to high speed ferries; Northern Lights powers them all. The end result of this experience is the C3 Series powered by US EPA Tier III compliant, Lugger diesels. C3 sets combine high tech emission controls with the cast-iron reliability, simplicity, durability and product support you expect from a Northern Lights—all at a very affordable price. Underloaded and overloaded generators cause problems and waste money. With seven models, 20 to 250 kW, there is a Northern Lights commercial set that is right for your job. Mix and match these compatible sets for your best, single source, power solution. Built for continuous duty, many Lugger powered sets have logged over 30,000 hours without a rebuild. Check the features and you will see why. Replaceable wet cylinder liners, liquid cooled turbos, cast-iron exhaust manifolds, plate oil coolers, cupronickel heat exchangers, gear driven seawater pumps. Rugged components built from the finest materials. Hoses, gaskets and belts have been minimized. Control panels keep you in touch with your set’s performance while safety shutdowns protect it. DC relays are used instead of printed circuit boards. Most service points are on a single side to simplify maintenance. “ESP” is a window to your set’s real time operating condition. The engine control unit that controls the electronic fuel injection on M65C3, M99C3 and M150C13 produces a stream of engine performance and diagnostic information that can be shown on an optional monitor. The sea is no place for a stand-by generator. All Northern Lights have low 95°/50° temperature rise ratings, Class H epoxy insulation and ±1.5% voltage regulation. 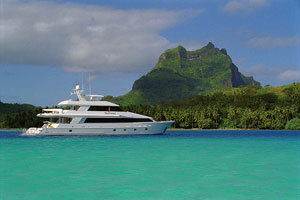 Each option is designed to integrate into a total power system custom built for your vessel. Consider a high power PTO that can supply up to 149 HP of hydraulic power at a touch of a button. Complete load testing is done with all accessories installed. Testing is just one of the quality controls that supports your decision to choose the very best commercial generator set for your workboat. Northern Lights’ quality reputation is a big plus when you sell your vessel. Buyers will know you cared enough to install the very best equipment. Premium commercial generator sets, at an affordable cost. Don’t risk your livelihood to anything less. Parts & Power are the Caribbean distributors for the complete range of Northern Lights land-based generators. Northern Lights' unmatched reputation for durable and reliable power solutions began with our land-based line. From the extremes of the Arctic north slope to the deserts of the Middle East, Northern Lights industrial generator sets have proven their mettle for over four decades. With unmatched versatility and quality, Northern Lights industrials are engineered to keep the lights on with an emphasis on economic operation, but never at the expense of reliability. Whether your application is prime or stand-by, 50 Hz or 60 Hz, Northern Lights has a land-based solution for you. No matter whether it's a job site, a hunting camp, or a remote telecommunications station, Northern Lights offers the superior engineering and technical precision to bring you reliable power. Parts & Power are the Caribbean distributors and Northern Lights dealers for the complete range of Northern Lights generators. It's the meticulous craftsmanship that makes Northern Lights generators the industry's most reliable. High copper content within the brushless generator end enables motor starting. As Nothern Lights dealers, we can assure you that maintenance is quick and easy. Most service points are arranged on a common side to put regular maintenance points right at your fingertips. All the small things add up to the most reliable, durable and simple to use power solutions on the market. 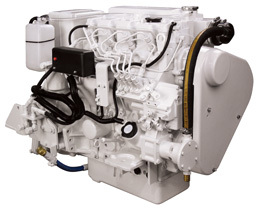 Northern Lights builds anvil-tough Lugger marine diesels from 40 to 525 HP. Originally designed for the uninterrupted operation necessary on commercial vessels, Lugger engines are recognized worldwide for performance, fuel efficiency, rugged reliability, and long-life dependability. Lugger's design philosophy has been it's strength from the beginning. Fresh and raw water pumps are gear-driven to eliminate belts. Most hoses and leak points have been engineered away. Most service points are grouped on one side to be easily accessible. And the jacket-water cooled turbocharger has been low and at the rear of the engine for ease of installation and service. Luggers are equipped with a comprehensive list of features to increase performance and keep your operating and maintenance costs low. From trawlers to tugs; passenger vessels to megayachts; Luggers are the clean, efficient and reliable power producing service. A comprehensive range of accessories are available for Lugger engines. Please see below for more information. Optional front power take off with electric clutch. Up to 190 HP to run hydraulic equipment. Choose 3-AB groove or 4A groove pulleys to run your vessel's pumps, compressors and other equipment. Your window to the operational condition of your set. Monitor all major engine functions and diagnostics on a read out screen mounted in a convenient locations. With catch tank, alarm and leaking line indicator as required by Lloyd's, ABS DNV, Germanischer Lloyd's and other class societies. Wet exhaust elbows rotate 0 - 15 degrees and 15 - 75 degrees from vertical. Various sizes are available to fit you engine and needs. Connects the exhaust system to the engine and reduces vibration transmission through the dry exhaust. Also allows for remote mounting of the muffler and compensates for the thermal expansion of the exhaust system. Cools hot exhaust gasses and silences exhaust noise. The standard model is listed, and a variety of other styles and configurations are also available.Contact your Northern Lights dealer for the solution that is right and more enjoyable. Recharge your batteries with high output primary alternators - 24 Volts / 100 Amps or 24 Volts / 175 Amps. Add a secondary alternator for more recharging power - 24 Volts / 75 Amps or 24 Volts / 140 Amps. Thoughtfully mounted fuel filter is easily serviced and designed to reduce fuel spills. Large top mounted air bleed and fuel pump priming lever provide for fast, painless fuel filter changes. Adds design flexibility by allowing the fuel tank and generator to be installed further apart. Also allows easier fuel system bleeding. Flexible vibration isolation engine mounts help reduce engine vibration and noise. Belts, gaskets, o-rings, pumps, and much more. Be prepared and organized for routine maintenance and troubleshooting in tough marine environments. Standard Kit contains and organizes basic repair parts, and the World Class Kit outfits you for longer voyages. Make simple repairs and routine maintenance quickly and with confidence. Operator’s manuals include photographs and easy-to-read directions. Parts manuals offer exploded-view pictures of components and parts numbers. Paper manuals come standard; CDs available on request. 10, 20 and 40 feet, these harnesses are sturdy yet flexible and give today’s boaters the convenience they need. Mount your panels throughout the vessel. Parts & Power are the Caribbean distributors for the complete range of Technicold marine air conditioning systems. How do you keep your boat interior at its most comfortable? Technicold has a wide-range of solutions and the know-how to help you select the proper systems for your application. In a chilled water air conditioning system ambient temperature and humidity are controlled by a cold water loop. Climate control is supplied to each room on board by air handlers. In a Direct Expansion Air Conditioning System, temperature and humidity are modulated by refrigerant piped through evaporators. A Self-Contained DX System works similarly to a direct expansion system. However, in a self-contained system the condenser and evaporator are mounted into a single unit. Once you have selected the best climate control system for your vessel, you will recognize the wide potential for optional accessories and upgrades. Reliable, durable and simple to use, Northern Lights products are designed for the unforgiving nature of the marine environment. Outstanding features like single-side servicing, industrial engine blocks and extensive use of castings allow Northern Lights to offer marine systems of unmatched quality. 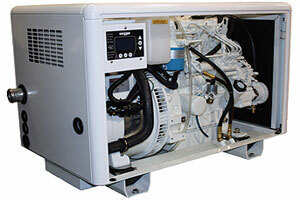 Northern Lights manufactures a comprehensive line of 50 and 60 Hz marine generator sets from 4.5 to 250 kW. Powered by rugged Lugger diesels and proven in commercial vessels, long-range trawlers, passenger vessels and high-performance yachts, Northern Lights generator sets provide unmatched quality and reliability. Northern Lights builds anvil-tough Lugger marine diesels from 40 to 525 HP. Originally designed for the uninterrupted operation necessary on commercial vessels, Lugger engines are recognized worldwide for performance, fuel efficiency and long-life dependability. 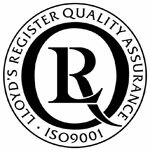 An ISO:9001 Certified company, Northern Lights is headquartered in Seattle, WA, USA, with a worldwide dealer network over 300 strong. Northern Lights and Lugger products can also be customized to comply with some of the most stringent classification society requirements. Parts & Power is the official distributor for Northern Lights Caribbean marine generators, Lugger products and parts and Technicold air conditioning throughout the Caribbean. With dealers on all the major islands of the Caribbean, support is never far away. We provide BVI generator service for clients in the BVI. You can count on the Northern Lights family of brands to meet all of your vessel’s needs. Contact Parts & Power today for all your Caribbean marine generators, engine, spare parts and BVI generator service requirements. You can also follow Northern Lights on their Facebook page.